An increasing number of field vegetable growers and ornamental plant growers are considering adding greenhouse facilities or using current structures to produce vegetables. Richard Billekens has 28 years of experience in the production of greenhouse vegetables. He has worked as a grower in the United States, Canada and Mexico. He has also worked as consultant in the United States, Canada, Mexico, Russia and Sweden. He is currently head grower, production manager and head of research and development at Hortinvest Mexico SA de CV in Querétaro y alrededores, Mexico. 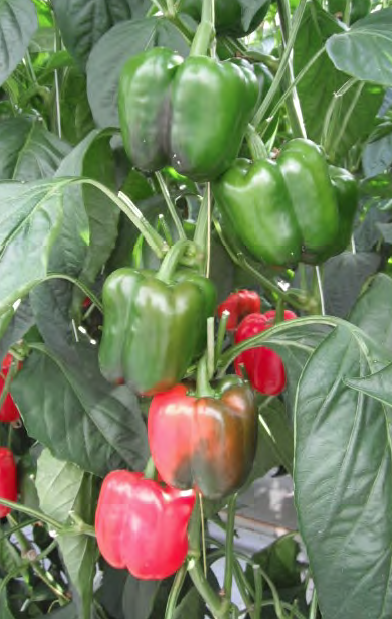 He manages 18½ acres of greenhousegrown sweet bell peppers. Billekens said there are some major factors that growers need to consider before building any structures for vegetable production. Previous articleWhat is Light Quality?